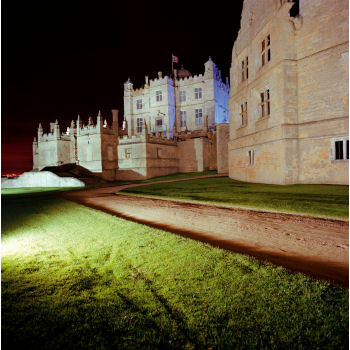 As English Heritage prepare to start a new chapter at Bolsover Castle and lift the veil on a new project that will concentrate on the tourist market, brides-to-be are being encouraged to gather their guests and ready their carriages to exchange rings and vows in the idyllic fairytale surroundings before the chapter closes for ceremonies in March 2015. This is the last time weddings will be offered at Bolsover Castle so it really is a ‘once in a lifetime’ opportunity for those wishing to find a unique wedding venue. 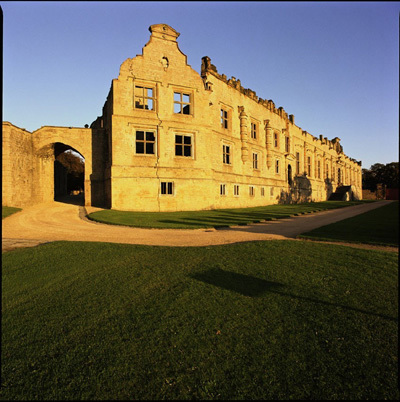 A long established favourite for civil services in Derbyshire, Bolsover Castle is a picture-book castle with golden ancient stone walls standing proudly high above the beautiful Vale of Scarsdale. 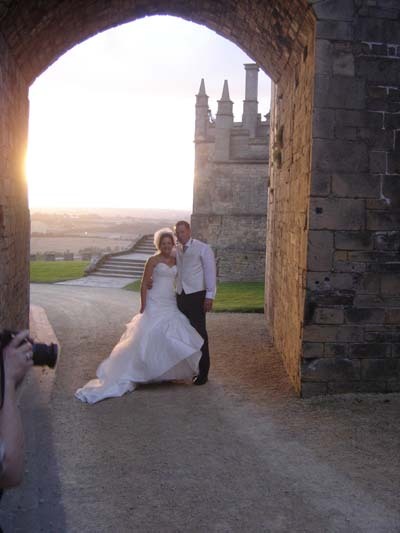 If brides yearn for stunning historic surroundings mixing medieval magic with 17th century adventure and passion, then Bolsover Castle will be their ideal wedding day location. And it’s now or never as brides are encouraged to say ‘I do’ to a wedding at Bolsover Castle; making the most of these last few months to choose a gorgeous fairytale castle to set the scene for their happy ever after. 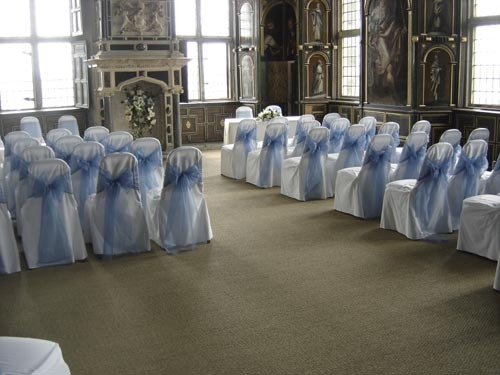 With a choice of two very different indoor ceremony rooms or two licensed outdoor areas with sublime views – Bolsover Castle will be theirs to make their special day a truly unique and unforgettable occasion. By choosing a superb historic location for the celebrations it brings the echoes of the people and events that have shaped it though the centuries, to give the day a deeper, more meaningful quality. Imagine dashing cavaliers, beautiful ladies in flowing gowns and historic romance – all this and more is packed into the walls of Bolsover. Sitting snugly within high walls, it is the Little Castle, which is at the heart of Bolsover Castle. With its towers and battlements, it is every inch a medieval castle in miniature, even though it was built in 1612 – and the choice of many couples as the magical setting for their wedding ceremony. 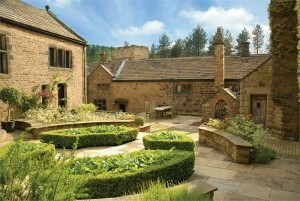 Huge double gates open into a stone-flagged courtyard with a staircase leading up into the Little Castle. 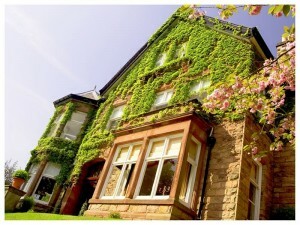 In fine weather, couples can say their vows in the arched doorway with their guests watching from the courtyard below. Inside, brides-to-be can choose to say ‘I do’ in the atmospheric Pillar Parlour or the lovely Star Chamber, which is topped by a stunning blue gilded ceiling and boasts soaring leaded windows, carved wood panelling, intricate 17th Century design tapestries and an ornate fireplace. Summer weddings take on a special romance within this charming walled garden, which has been returned to its original 17th century layout. Couples can exchange their vows under the indulgent eye of Venus, the Goddess of Love with the sound of water gently playing in the fountain and herbs and scented flowers adding to the heady atmosphere. 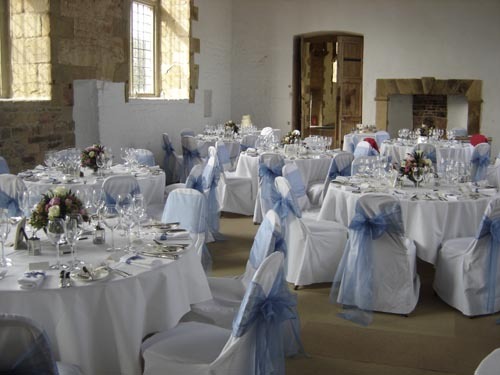 Amanda Till, Bolsover Castle’s Hospitality Coordinator, will be with brides every step of the way as they plan every little detail and finalise their big day at this stunning location, being one of the last people to ever get married here. And she knows exactly what they’re going through, as she’s planning HER wedding at Bolsover Castle too! What better recommendation is there than that? !